Healthcare reform is a top priority this year and HIT (Healthcare IT) plays a major role as healthcare providers face new standards for compliance and security, improved patient care and limited budgets. As a result, you as a healthcare provider are left swimming in a sea of technology requirements and possible solutions. You need experienced IT assistance to sort through the options and determine the right solution for your practice that address the total patient experience with the minimum amount of disruption to your everyday practice. Due to the American Recovery and Reinvestment Act (ARRA) signed by President Obama in Feb. 2009, funds are now available at a federal level for Electronic Health Records (EHR), regional health information exchange efforts, and medical information security. These funds also include a $44,000 Medicare/$65,850 Medicaid tax incentive per individual medical practitioner to convert to EHR. Plus, in December 2009, the Obama administration announced it would be distributing $88 million in stimulus funds to federally supported health centers for implementation and use of EHR and other HIT systems. The past year has been about weeding through the definitions and how we’ll be measured for reimbursement. That’s a lot clearer now. We’ve moved from the assessment phase into the planning phase with our implementation efforts picking up this summer and into the fall. As many of our clients are preparing for this transition (or are in the process), ASC Group has formed a specialized team of experts to provide answers and meet these new demands. Our team partners with leading EHR software and hardware vendors to provide specialized HIT solutions, along with implementation services and support. 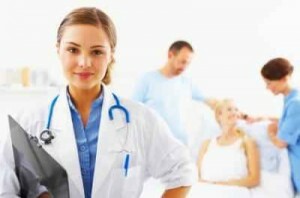 Our goal is to reliably manage your network so that you, the medical professional, can focus on patient care. Contact us today for a complimentary assessment of your practice’s EHR readiness.